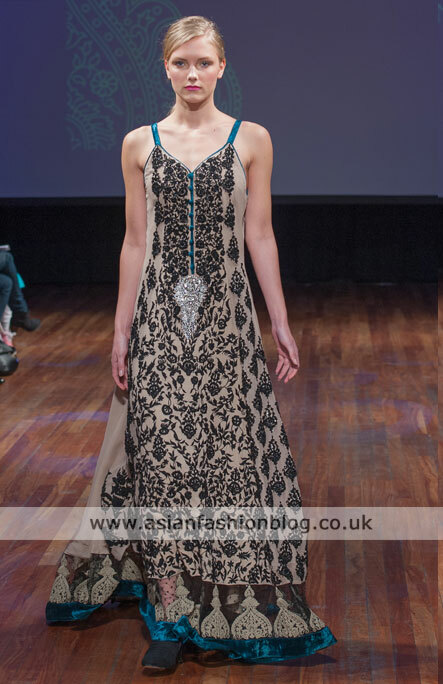 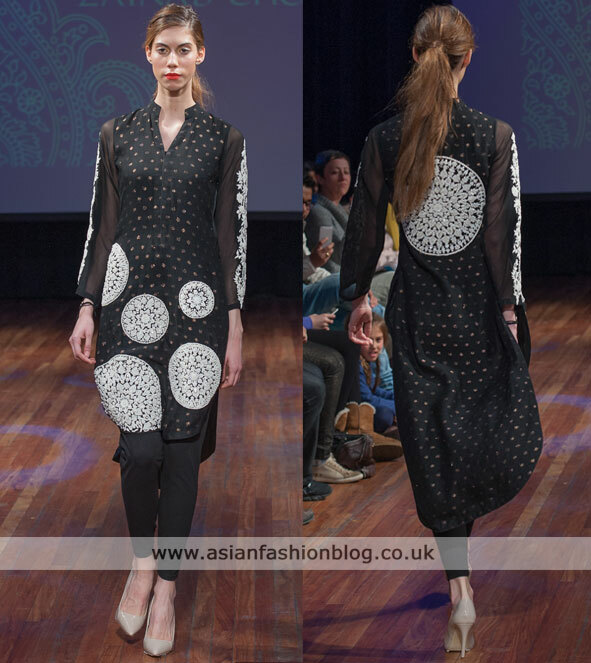 The Alchemy Fashion Show took place in London this month and featured asian fashion from designers in Bangladesh, Sri Lanka and Pakistan. 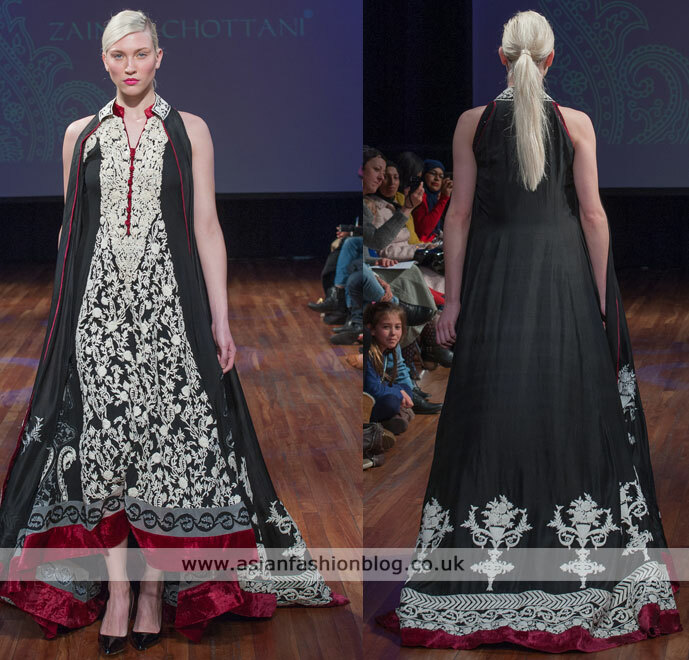 Here's the collection by Zainab Chottani (formerly known as Zainab Sajid). 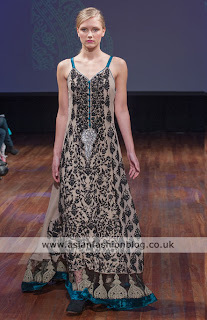 I'm used to seeing heavy bridal outfits from this designer, like this collection from the 2011 Rhythm of Asia fashion show, so it made a change to see this more subtle collection. I loved this first outfit, I'd definitely wear something like this and to go for a more stand-out look I think the top could be worn with coloured leggings...in my head I'm picturing hot pink! There were also some outfits which had less of a traditional feel to them, like these unusual trousers. 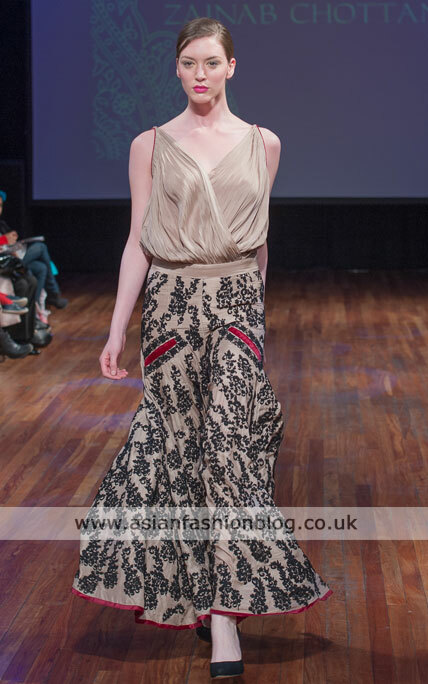 I liked this jumpsuit, it has a fun feel to it and even though there's a lot of skin on show I think it looks chic. 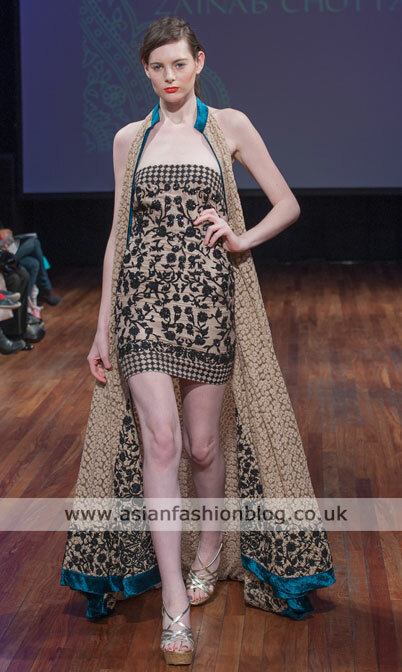 Again lots of skin on show with this final outfit, but I really like the look of it. If you wanted to cover up a bit more you I think the mini dress would still look good worn with leggings or churidar bottoms.